Russian painter Kazimir Malevich (1878-1935), unlike other prominent Soviet artists, has not been much considered in discussions of the contributions of the avant-garde to photography and film. Yet a close examination of theoretical and practical aspects of Malevich's oeuvre not only places him fully in the Soviet post-abstract discourse on these media but also, Margarita Tupitsyn argues in this analysis, alters the accepted view of his post-Suprematist period. 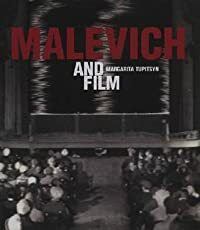 Exploring Malevich's involvement with film, Tupitsyn draws on little-known writings about cinema by the artist himself, and many photographs and documents. Malevich's influence on 20th-century art extends far more widely than has been claimed for him before, the author concludes.